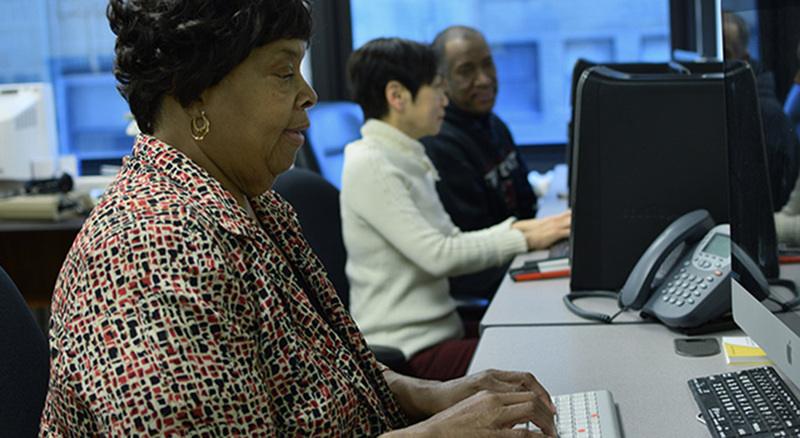 We open our computer lab for your use every weekday from 8:30 am to 4:30 pm. Five computer stations are available, with the complete MS Office Suite and adaptive technology (JAWS, NVDA, ZoomText). Every Tuesday and Thursday morning, we staff the open lab with volunteer tutors who can help you issues that may come up. They can also help you improve your keyboarding skills with our Typing Tutor self-paced tutorial.